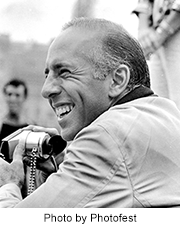 Celebrate the centennial of Jerome Robbins’s birthday aboard the historic aircraft carrier Intrepid. Join us as we explore Robbins’s enduring legacy through anecdotal stories, archival film footage and live dance. The evening will highlight how Robbins’s choreography brought the sensibility of the streets alive on the stage. 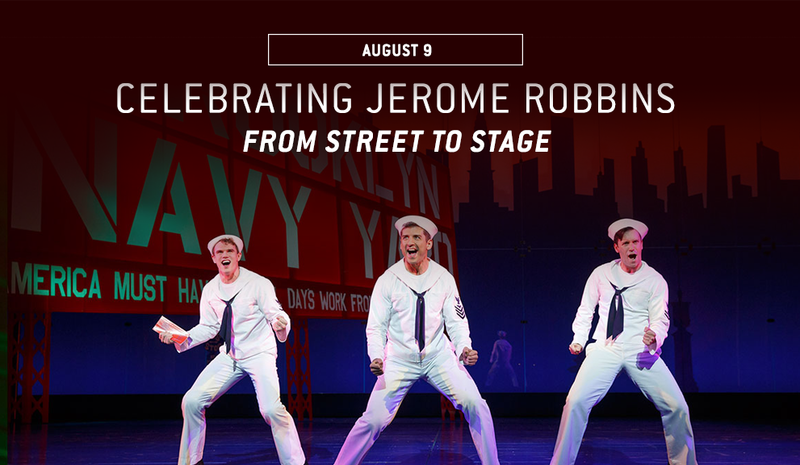 The program will begin on the flight deck with a live performance of the opening to On the Town, staged for this special setting by Joshua Bergasse, the Tony Award–winning choreographer of the 2014 Broadway revival. Arrive early, have a complimentary glass of sparkling wine, and enjoy the show as we celebrate the timeless artistry of Jerome Robbins. The discussion will feature Grover Dale, original cast member of West Side Story and co-director, with Robbins, of Jerome Robbins’ Broadway; Joshua Bergasse, Tony Award–winning choreographer of the 2014 Broadway revival of On the Town; Adam Green is Vogue’s theater critic and is currently working on a memoir about his father, Adolph Green; Daniel Ulbricht, principal dancer with the New York City Ballet; and moderator Amanda Vaill, author of Somewhere: The Life of Jerome Robbins. In 1944, Jerome Robbins choreographed his first ballet with young, up-and-coming composer Leonard Bernstein. Robbins wanted to bring a modern American sensibility to ballet, and he had come up with the perfect concept: sailors on shore leave in New York City, a common sight during the World War II era. The resulting groundbreaking ballet Fancy Free was so well received that the pair joined forces with Betty Comden and Adolph Green to reimagine it as the musical comedy On the Town. Robbins went on to choreograph numerous ballets and 15 musicals, including Fiddler on the Roof, The King & I and West Side Story. Drawing from his immigrant experience, Robbins revolutionized dance, revealing its capacity for storytelling and capturing the essence of American cool.